Looking to replace your ancient TV screen with the more modern ones? Trying to upgrade your entertainment system? Most probably, those are the cases when you are searching for the comparison between Samsung UN65JS8500 and Sony XBR65X850C. Both of them are awesome smart TV from different giant manufacturers, Samsung and Sony. They both provide a 65-inch screen with 4K Ultra HD resolution. If you can’t choose between these two things, I will try to give you some insight. See also : Samsung UN65JS8500 Vs UN65JU7100. 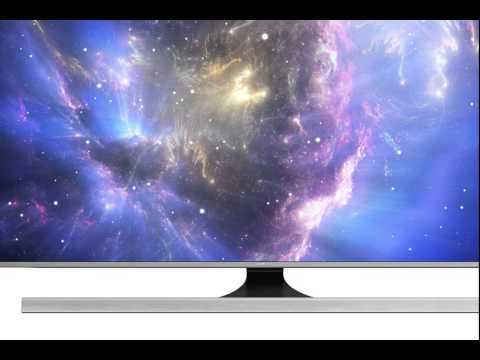 Samsung UN65JS8500 utilizes Peak Illuminator Pro and Nano Crystal Color technologies, combined with Precision Black and UHD dimming, to produce more vibrant colors. By no means, Sony XBR65X850C is also capable of delivering an excellent picture quality, and they both are able to give rich color details, but Samsung UN65JS8500 provides slightly more edges on the vibrancy. Also, Samsung UN65JS8500 has a more superior speaker system compared to Sony XBR65X850C. It comes with 2.2 audio channel and a 40 W sound output, including the two built-in 10 W woofer, in contrast to Sony’s two audio channel and 20 W output power. As they both are smart TV products, probably it is worthy to check their platforms. Samsung UN65JS8500 uses Tizen OS while Sony XBR65X850C implemented Google Android TV. Although there are some complaints regarding the absence of web browser in the Sony’s product, the user may access the Android Playstore to install the applications they need. There are lots of available apps for the platform, more than the ones in Tizen OS, since Android has been very popular lately. You should be told that Samsung UN65JS8500 is, in normal conditions, US$500 more expensive than Sony XBR65X850C. The difference in picture quality between the two TVs is not too significant. If you choose the Sony product, you can add additional soundbar with less than US$500. Besides, an Android platform is more attractive than a Tizen OS. So, as the consequence, Sony XBR65X850C gives better value for your money. However, if you don’t mind the extra chunk of money for the built-in woofer, Samsung UN65JS8500 is a nice way to go.